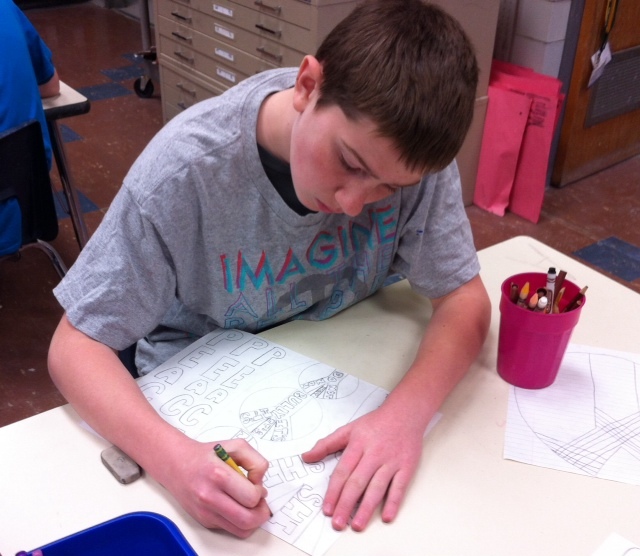 Sixth grade students participated in a brainstorming session in Art today with guest artist Mrs. Tallman in order to start to develop ideas for a Peace Mural on the Kickball Wall. 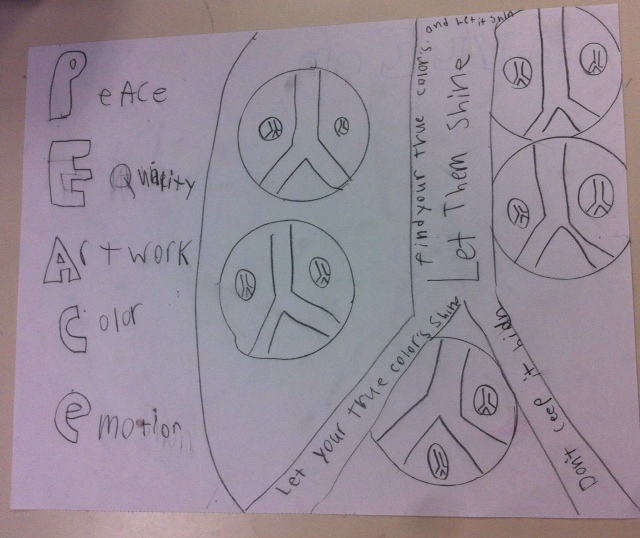 Students shared their response to the question, “What does peace look like at Mills Lawn?” as part of the brainstorming process. 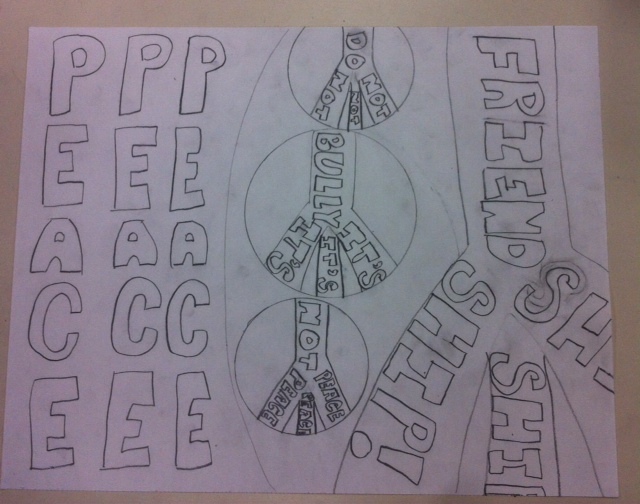 Some of their responses included: Cooperation; Respect; Getting along; Calm; Relating to others; and friendship. 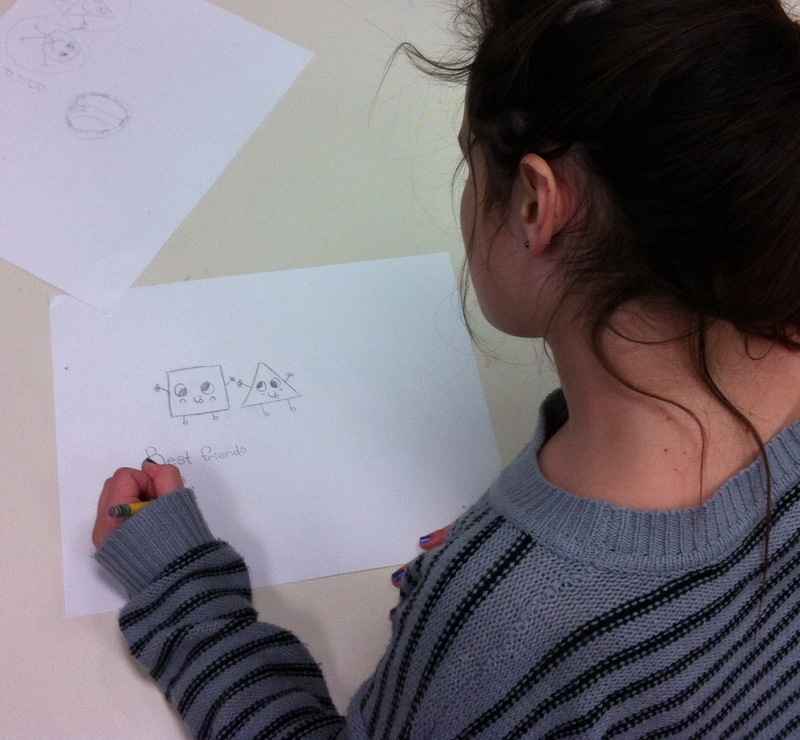 The first brainstorming session also included questions encouraging students to think about art as a tool for peace. 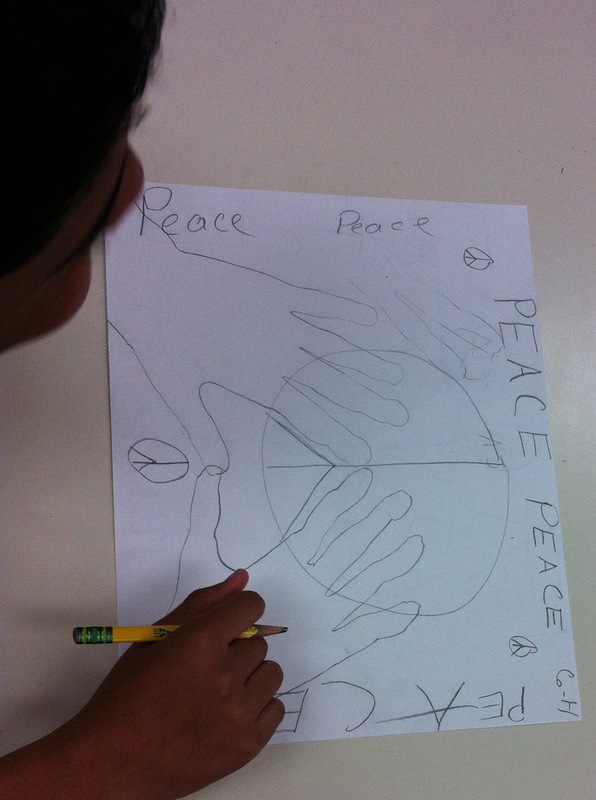 Students shared times they have used art as a tool to promote peace, show empathy, or collaborate. 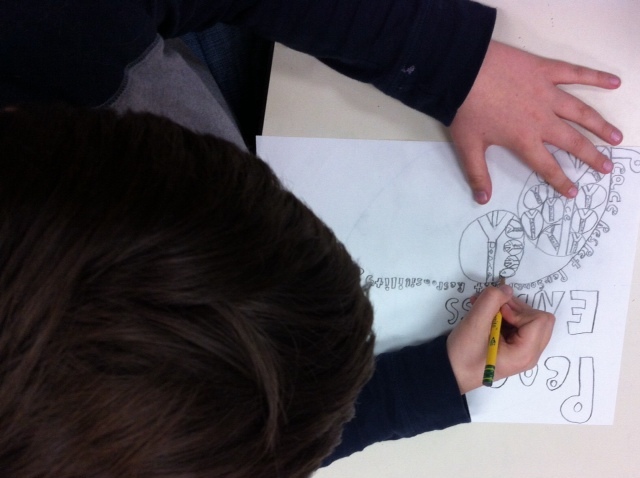 An excellent example is the Hero/Peacemaker Artwork from last spring featuring Dr. Martin Luther King, Jr., Rosa Parks, and Mahatma Gandhi that was created by student collaboration throughout all grade levels at Mills Lawn. 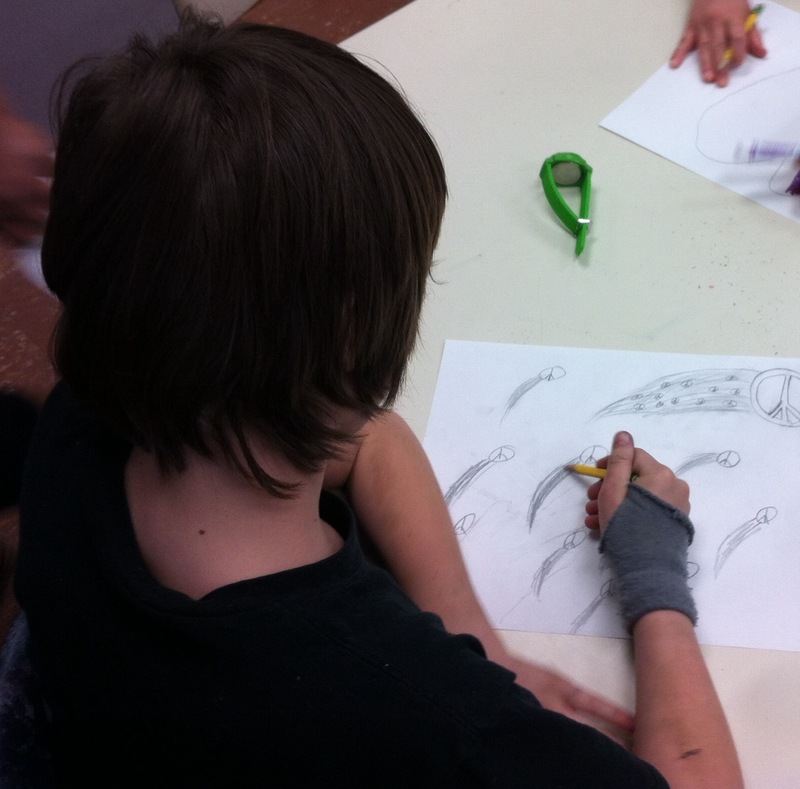 Can you think of another time you have created art to promote peace, show kindness, or collaboration? 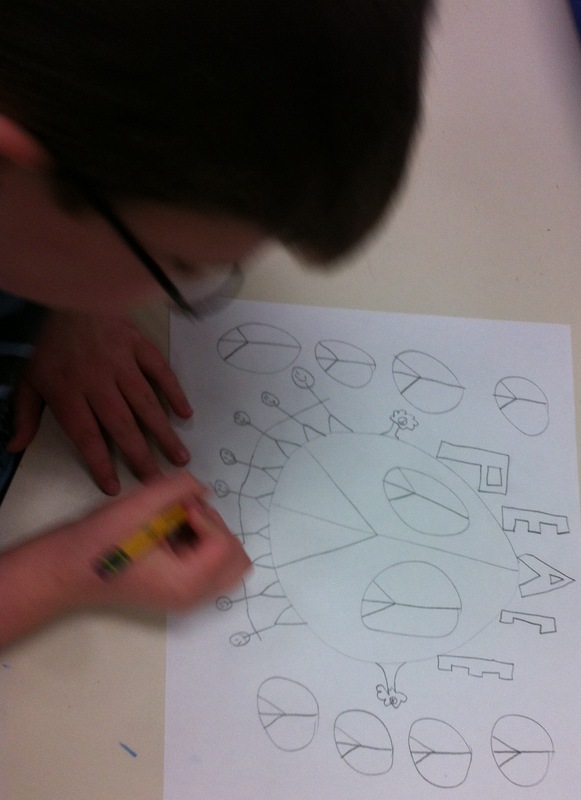 These sketches are a great start to another collaborative art making effort for peace. 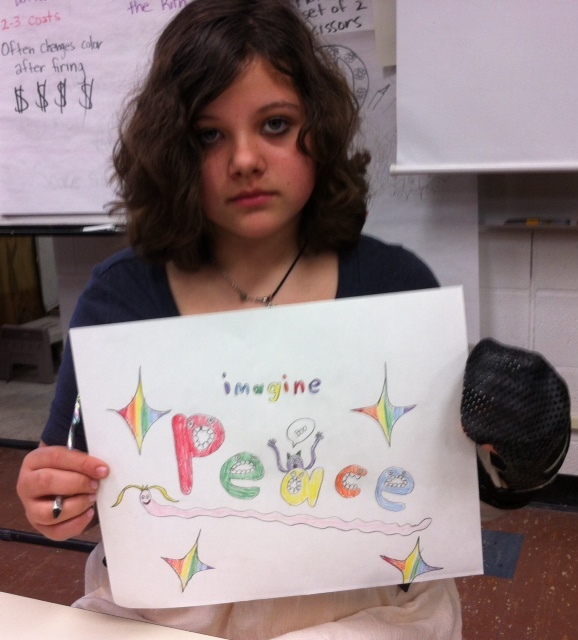 Keep checking our Project Peace Blog for updates on the mural this spring!